Autumn is not jut the right time for apples and soup, it is also the perfect time for cabbage. 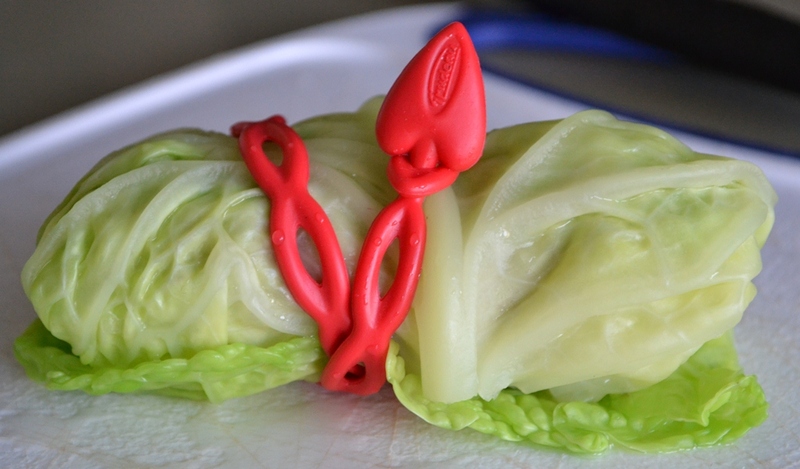 I am sure most of you know about Cabbage Rolls but maybe not the way my family makes them. 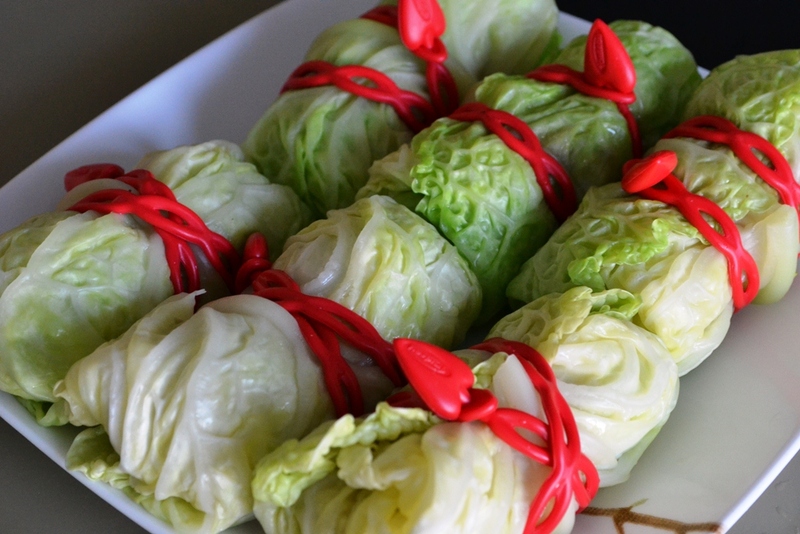 I’ve seen several cabbage roll versions in North American, most of them involving some red sauce with tomato or bell peppers. Some also have a rice filling instead of meat or a mixture. My family is doing it a little different, no rice, no red sauce. 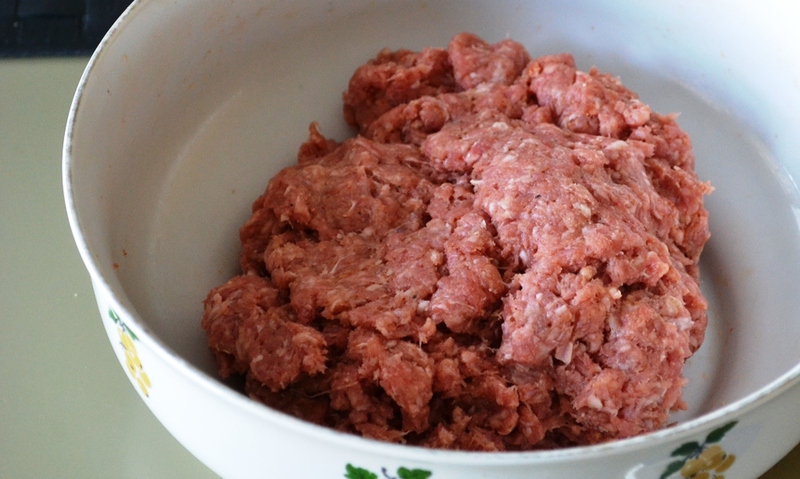 Mix the ground beef and ground pork together and add spices to your liking but make sure it is well flavoured. 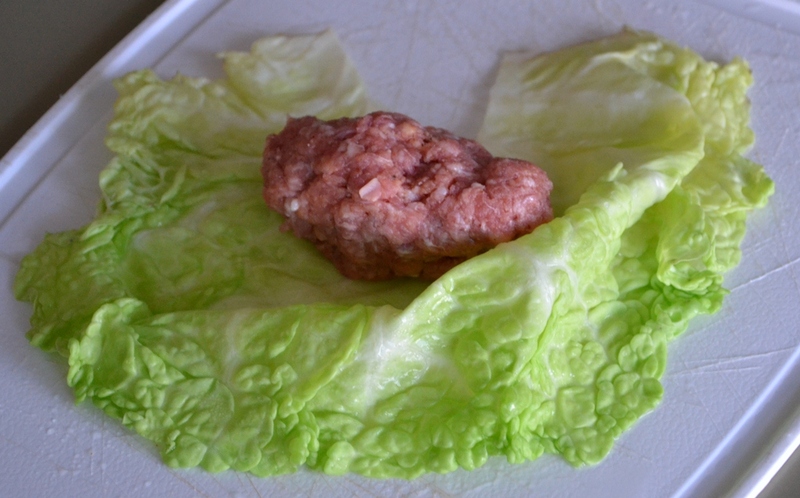 As I explained previously (here, and here), I like to add ketchup and mustard to my ground meat to give it some extra flavour. Then add the breadcrumbs so that it will hold it’s shaped and set aside. 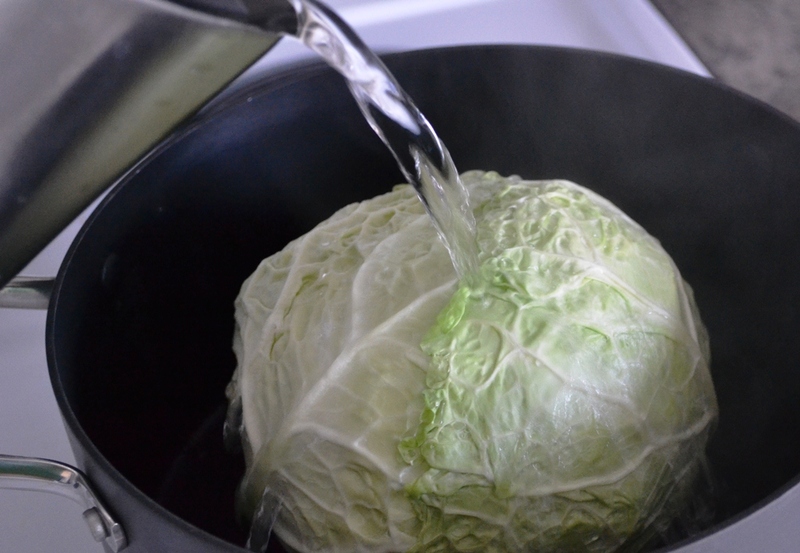 Boil some water and place the cabbage head in a bowl or pot, then pour the water slowly over the cabbage. 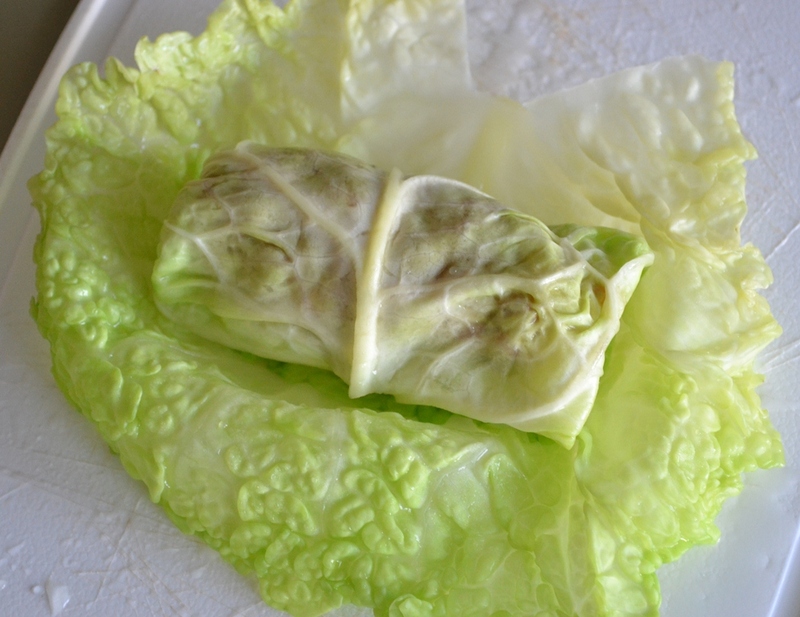 This procedure will soften the cabbage leaves somewhat, which you need to make the rolls. Let the head sit in the hot water for a while before removing it. 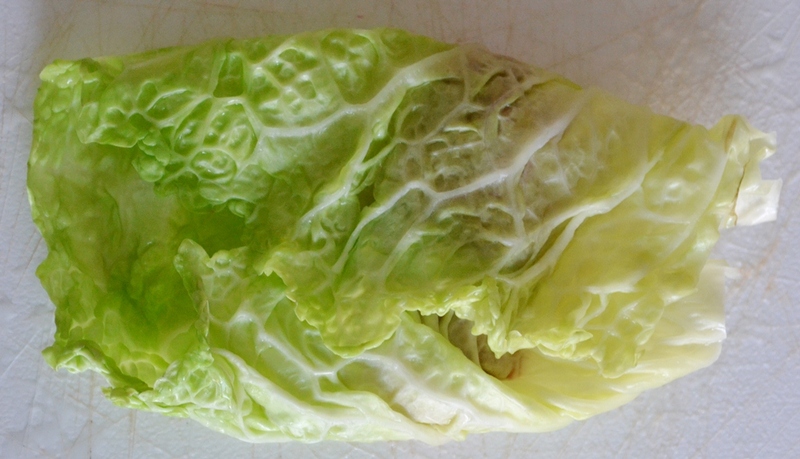 Make sure the water is all drained from the cabbage head. The break out one leave at a time. Take one leave and place some meat inside, rolling it up. Use another leave and roll the first into it. Then secure with some twine, a toothpick or one of the ones you see in the picture. Set aside and continue until you run out of meat or out of leaves. Take some bacon and dice it up, heat pan that is high (or use a big pot) and cook the bacon so that the grease comes out. Dice half an onion finely and add to the pan. 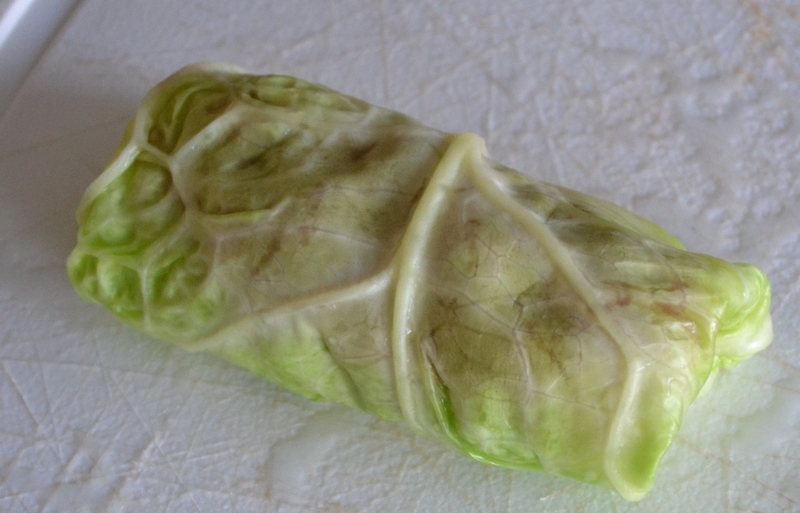 Finally, place the cabbage rolls in the pan and cook on medium-high on all sides so they are brown. Remove from the pan. 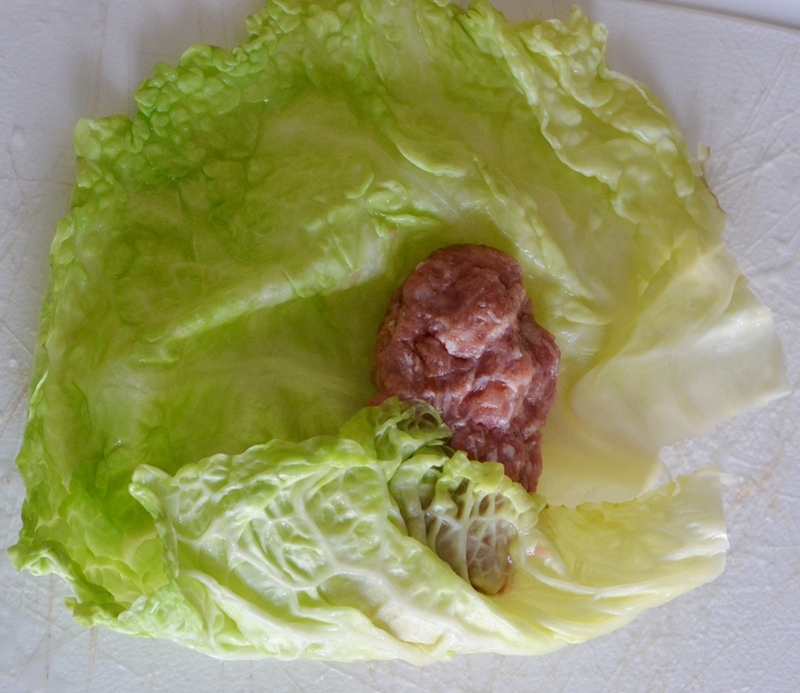 The left over cabbage that was too small for rolls can be cut up. Add it to the pan and cook for a while, then add the cabbage rolls again as well as 500ml of broth. Let that cook until the cabbage is nice and soft, depending on the size of the rolls and the cabbage it could take up to 45 min or even an hour. Tip: You will have a thin gravy or as we call it sauce. You can thicken it up by using some corn flour. Simply add a tablespoon or two to a bit of cold water, mix it up until dissolved and then add to the sauce. Stir well and bring to light boil. This should thicken it up, if it’s not thick enough, repeat the procedure. 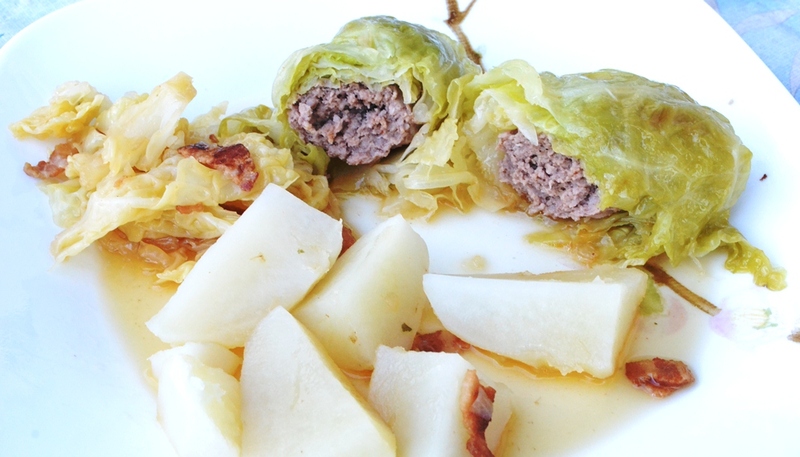 Posted in Cooking and tagged beef, cabbage, cabbage rolls, cooking, fall, German, ground meat, pork, recipe. Bookmark the permalink.